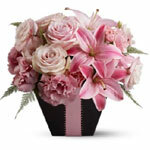 Anniversary gifts have to cover a wide range of dates and events! We have floral and other gifts's for every type of anniversary and plenty of resources to provide you with anniversary ideas. Our nation-wide network of quality assured florists can help you with the ever-reliable and always appreciated "dozen red roses" for any romantic anniversary - from first date to wedding anniversary. To find a florist near your destination, use our Petals Florists Directory to display all florists servicing that postal code or simply send your order here and let us find a suitable florist for you. Flowers can also be sent in other colours to suit the type of anniversary (consult our anniversary advisor for anniversary colours). 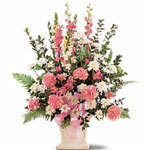 You might like to send some other form of anniversary gift; and we can help. Check out our huge range of wine gift baskets, chocolate gift baskets and a host of other gift hampers to suit every taste. If you can't find your choice below, use our search tools for more unique gift ideas. You can find more gifts ideas for women here. 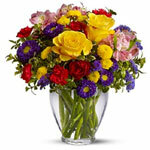 Don't be mislead, plenty of men love to get anniversary flowers! 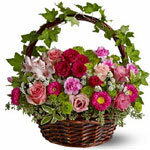 We have a special floral gift suggestions for men link to provide floral gift advice and a range of other types of gifts for your choice. Wedding anniversaries are often associated with special types of gift - say gold for 50 years. We have a wide range of suitable gifts for every wedding anniversary for you to choose from. 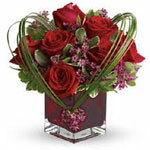 To find a gift, click on the anniversaries menu link or use the search tools to narrow down the choice. We also have a special weddings category for your assistance. To find more on the types of gifts for a particular anniversary, visit our anniversaries information page.